53% of Americans Live Paycheck To Paycheck! The Debt Fiasco. The number of Canadians who are $200 or less away from financial insolvency every month has climbed to 48 per cent, up from 46 per cent in the previous quarter, in a sign of deteriorating financial stability for many people in the country, according to a new poll. 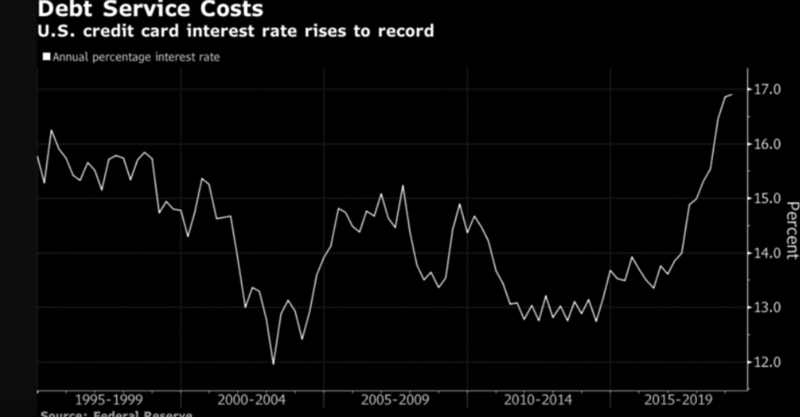 The Bank of Canada raised its benchmark lending rate three times last year, taking it to 1.75 per cent in October, but has since held rates steady. The central bank will announce its next interest rate decision Wednesday. A sneeze and the markets will begin to drop. This is why I am against the carbon 666 tax religion. They want to put the law in, then stack and pack people into high-rises and ultimately depopulate the planet. Houses sitting empty from defaults on mortgages its starting to put the strain on banks. Might be a good idea to pull your cash out of the bank, as what happened in Greece they seized peoples savings with bank bail-ins. Job openings took the biggest drop in roughly 4 years. This is the start. Next will be an upsurge in layoffs. I work at a job which is recession proof. Out of debt and ready for a financial collapse. Churches are a pagan term. Assembly is a better term. Well Notre-Dame burned to the ground and made it in front page news. There is much demonic about the church looking at the idols of Gargoyles, which should be avoided. Evil is right out in the open, parading as the “light”. 1 John 5:21 Little children, keep yourselves from idols. Ahman. It looks like we are headed into a recession and the only thing to stop it is printing money. If that doesn’t happen down we go. The only lever they have left is printing money to delay the fall! I’m glad I paid and ripped up my credit card years ago. I’m out of debt while the average Canadian or American is drowning in loans and credit card debt. Funny how the Fed said they would not raise rates and said that the market would not crash as we approach this “Tripple top” (a normal bearish sign) in the stock markets. Only the rich can afford to buy at these prices. The average worker is struggling to make ends meet.